A little competition is coming the way of Federal Donuts, the current king of fried chicken in Philadelphia. 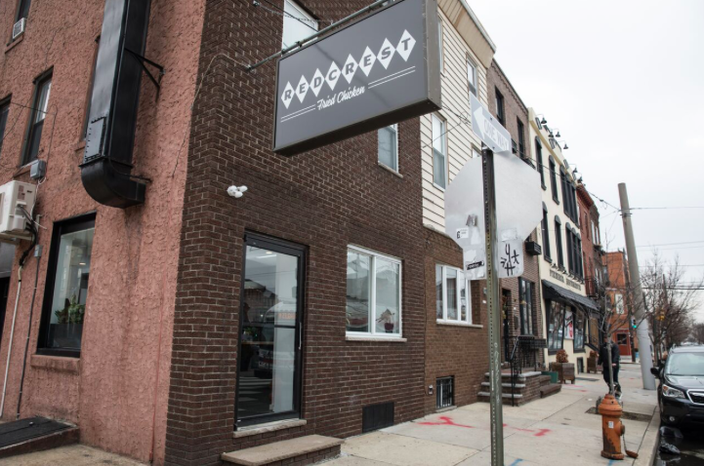 New York chef Adam Volk, originally from the Philadelphia suburbs, will open Redcrest Fried Chicken on East Passyunk Avenue on Thursday, giving away freebies to customers who come in between 5-7 p.m.
Volk and his wife, Emily, recently moved back to Philly after the chef built a name for himself with two Brooklyn restaurants, The Exley and Esme. The couple had their first child together and decided to move home to open a new restaurant. 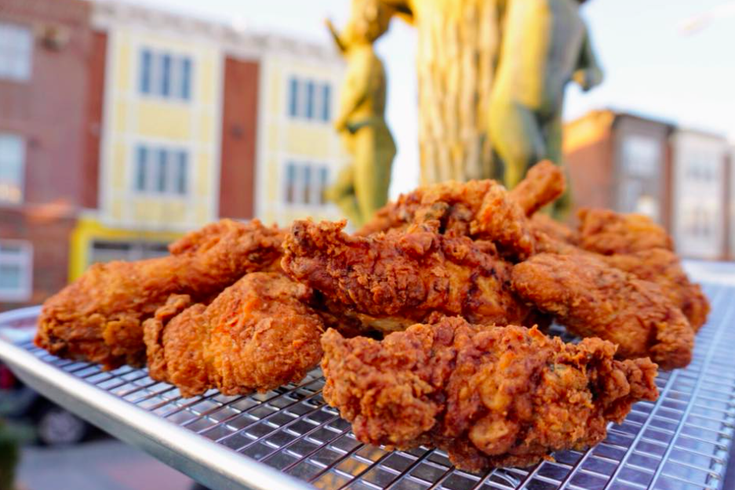 The new eatery takes over the cozy location formerly occupied by Fresh Seafood at 1525 S. 11th St.
Volk's menu will be anchored by two varieties of fried chicken — a signature buttermilk blend and a spicy curry flavor — and will also serve wings, popcorn chicken and mini-chicken sandwiches. Sides will include mac and cheese, mashed potatoes, french fries, corn pudding, vegetables, buttermilk biscuits and cole slaw. 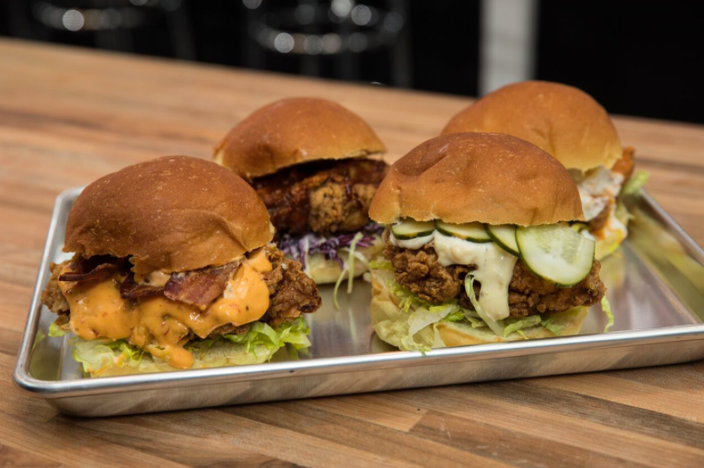 Mini-chicken sandwiches at Redcrest Fried Chicken. For dessert, Volk is doling out soft-serve ice cream, bread pudding, baked goods, sundaes and ice cream floats. Redcrest Fried Chicken will be open Monday through Thursday from 11 am-11 pm, Friday and Saturday from 11 am-midnight and Sunday from 11 am-10 pm. GrubHub delivery service will launch Friday and will be available seven days a week.